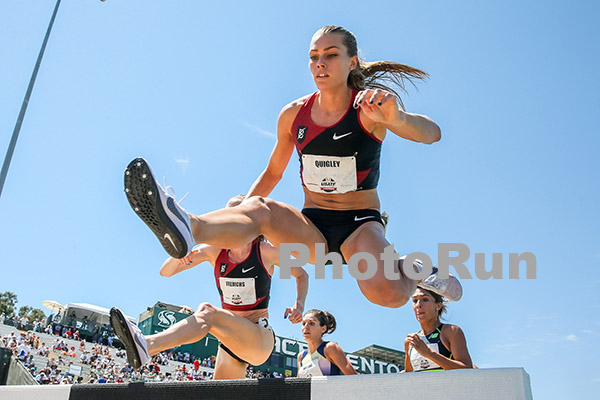 The dynamic duo of Courtney Frerichs and Colleen Quigley placed second and third, respectively, in Saturday’s USATF steeplechase final to qualify for August’s World Championships in London. In a race won by American record holder Emma Coburn in 9:20.28, Courtney and Colleen ran 9:22.23 and 9:25.40. This finish replicated the order at last year’s Olympic Trials. Training partners Courtney and Colleen were in the lead group from the start, and, with Coburn, dropped the rest of the field by the end of the sixth lap. London will mark Colleen’s second straight worlds appearance. At the Rio Olympics, she placed eighth and Courtney was 11th.